The Canadian Institute of Mining, Metallurgy and Petroleum (CIM) will hold the CIM 2017 Convention in Montreal, from April 30th to May 3rd. With an expected attendance of more than 6,000 mining industry professionals, CIM 2017 is Canada’s biggest mining event. Maccaferri will exhibit our wide range of mining solutions at the CIM Expo, booth #2003. 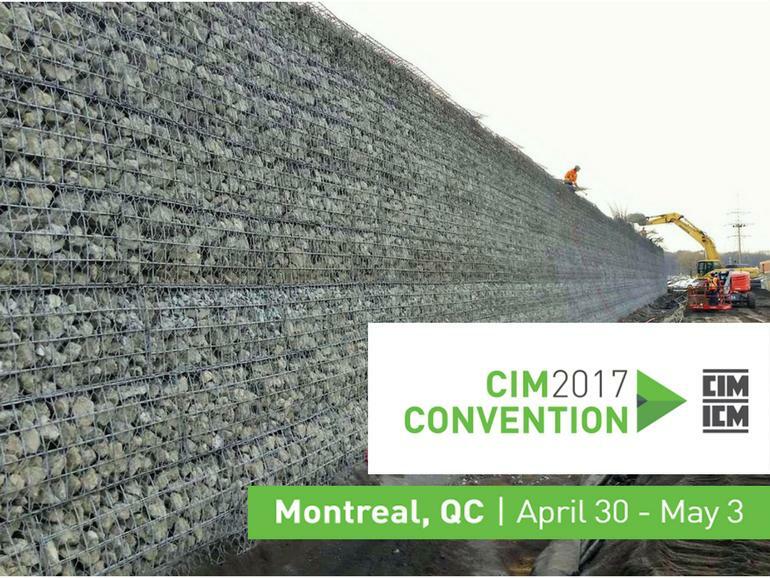 The Canadian Institute of Mining, Metallurgy and Petroleum (CIM) is organizing the CIM 2017 Convention taking place in Montreal from April 30 to May 3, 2017. “New State of Mine” is the theme that will drive topics of discussion at the upcoming conference where mining will be examined through the lens of safety, innovation, employment, leadership, and more. More than 6,000 mining industry professionals are expected to take part in the event at the Palais des Congrès de Montréal. CIM’s commitment to engage and give a voice to the full range of technical, business and corporate social responsibility (CSR) stakeholders in this industry makes CIM 2017 a catalyst in a mining landscape, where innovation is the fruit of cross-disciplinary collaboration. The Convention will also include CIM Expo which is celebrating its 34th anniversary. It will host nearly 450 exhibiting companies, featuring the latest in mining equipment, tools, technologies and services. The Expo is Canada’s mining marketplace. We will be exhibiting our wide portfolio of mining solutions at booth #2003: our mining capabilities are used within open pit mines, underground mines, access works and mine infrastructure, mine closure, storage process, dewatering and treatment processes. We are able to provide effective engineering solutions to meet the challenges facing mine owners at each stage of their mine’s lifecycle; our solutions have already been used in some of the largest mines the world. Stop by our booth #2003 and meet Eric Michiels, PE, Global Director, Mining Solutions. We look forward to seeing you in Montreal!